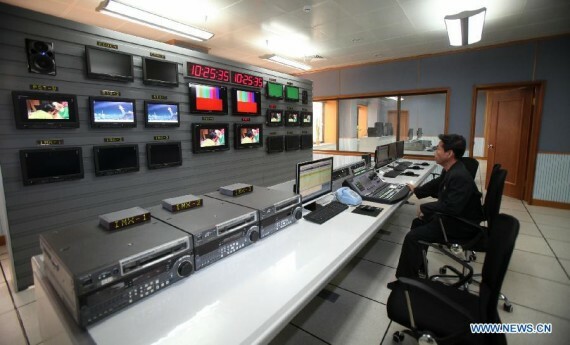 Korean Central Television, North Korea’s main national television station, has begun high-definition broadcasting. The TV station has been available in standard definition via the Thaicom satellite for more than 15 years, and earlier in January a second high-definition feed of the TV station appeared. The technical parameters of the new broadcast are as follows: 3696MHz, horizontally polarized, 4167 symbol rate, DVB-S2 format. The new feed began by carrying KCTV’s regular standard definition broadcasts in a letterboxed format, so while the broadcast is technically in a high-definition format, the content isn’t … yet. Recent coverage of major national events has been produced in widescreen format, which probably means it’s being filming with high-definition equipment and converted down to standard definition for the current broadcasts. The TV station got a major upgrade in 2012 when China Central Television provided the broadcaster with around 0,000 worth of digital broadcasting equipment. Some of it can be seen in this photo, which was carried by Chinese media at the time. 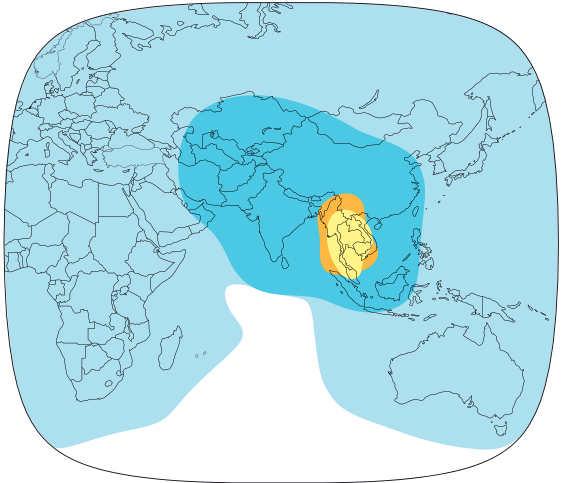 North Korea’s satellite broadcast via Thaicom 5 reaches across a broad part of the globe including all of Asia and much of Africa and Europe. In this image below, the signal is receivable in all areas enclosed within the large outline of this map. However, a large satellite dish or at least 2-meters or more in diameter is required. 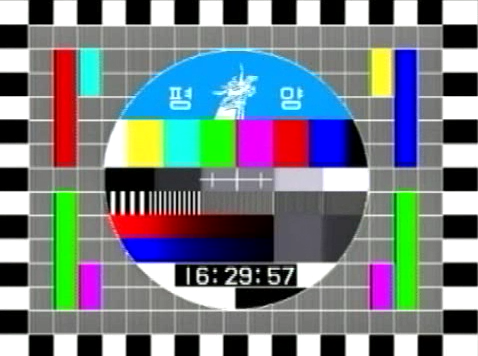 It’s not clear whether North Korea has plans for terrestrial broadcasting in high definition. The country began testing digital TV broadcasting at the end of 2012, according to a report, but state media hasn’t provided any updates on progress of the trials. Recent models of tablet computer on sale in the country include analog TV tuners but no digital reception, although that might be due to cost rather than absence of broadcasts. 1 Comment on "KCTV launches HD satellite broadcasts"
I was told by my students this past fall that there is a 2014 model tablet available with a digital TV tuner.